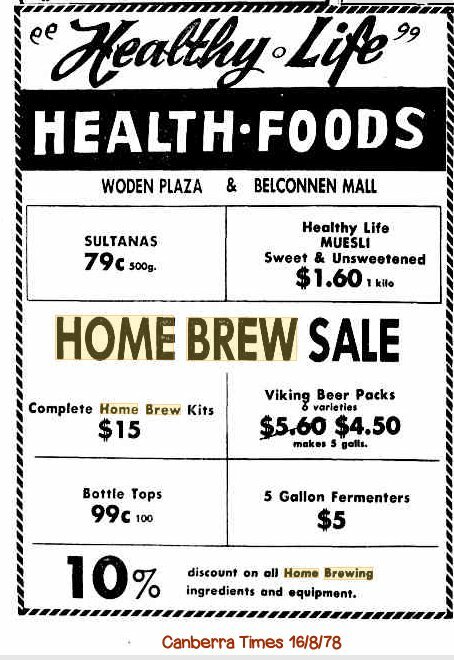 Today is the 45th anniversary of the removal of standing regulations that made home brewing of beverages over 1.15% alc/vol illegal. To mark the occasion I am revealing the original home brew recipe I used to brew about 40 years ago. I found it filed among my plans to change the world in the back of the wardrobe. 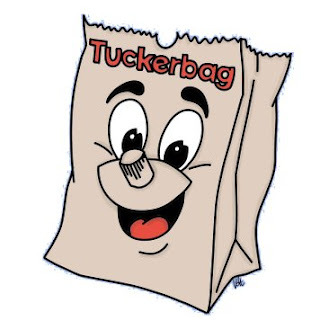 I knew I had it somewhere. It was made several times and was simply known as Party Brew because it fueled student parties back in the day. Nobody died but people got drunk and fell down. 5. Stir until sugar and malt is dissolved. 6. Add 3.5 gallons (16 litres) of cold water. From here on the lid should be kept on the bin at all times. 7. When the temperature of the mixture (wort) has cooled to body temperature sprinkle the yeast onto the surface of the wort and replace the lid. 8. After 24 hours lift the lid to inspect the wort. At this stage the brew should be 'working' and the surface frothy. If the surface is still clear sprinkle more yeast. Check again after 24 hours. 9. After 2 to 3 weeks the surface will clear. The hydrometer reading should be less than 1.005. When this reading is reached the beer is ready for bottling. 12. Repeat steps 10 and 11 until the large bin is emptied. 13. Fill each of the bottle with cold water. Do not add any priming sugar to the bottles, it is not required. 14. Seal the bottles and store them away standing upright. 15. After 2 weeks the beer is ready but will continue to improve over a period of months. NOTE : All equipment and bottles need to be thoroughly cleaned to prevent the growth of foreign bacteria. Commercial sterilizers and very hot water should be used. It is best to brew when the weather is warm but if you can't wait through the winter then the brewing will best be done in a warm room. Brain seems to get a bit confused with the bottling procedure. I remember adding water at bottling but not THAT much. He might have muddled his stubby & long neck ratios. I think it needs to be 2:1 brew to water. What aspect do you find most objectionable Otto ? The ingredients ? The Equipment ? The Method ? 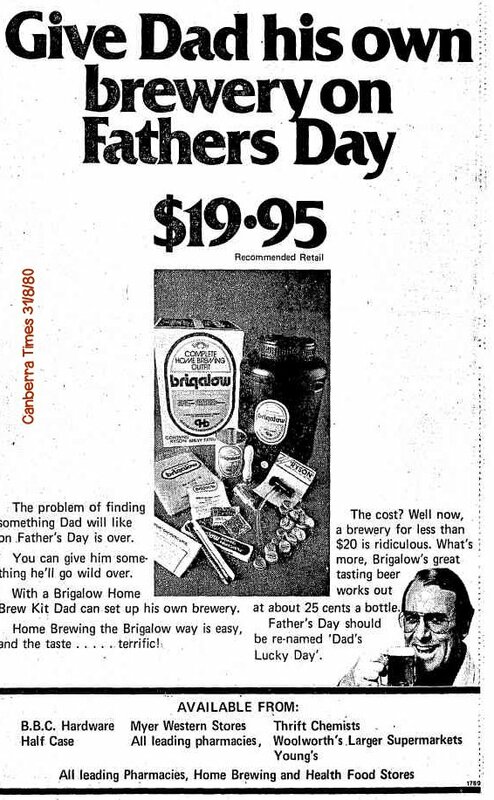 I am keen to learn what contemporary brewers think of home brewing before we had companies like Coopers to hold our hand and make it easy. My Dad and a mate of his did home brewing around this time, if not a bit earlier. I wish they were both still around to pick their brains. It sounds like a lot of sugar, so perhaps a higher ABV than really necessary. Otherwise it does not look a lot different to a basic extract brew done today. Not sure about bottle carbonation though. I’d find that amount of sugars raw, Brown and white to be overwhelming. There’s a book out there called “bronzed brews” I think that is written by an Australian beer historian, I’m sure there would be similar recipes in that book to that you have shown here. The bugger all yeast (half a teaspoon?? ), the massive amount of sugar, the boiling hops in plain water are the three that stand out. Probably fermented at way too high a temperature. Possible oxidation risk from straining the beer post fermentation. Unsure what the lemon juice and salt is for. Also unsure how it's meant to carbonate without any priming sugar in the bottles or why they're diluted with water other than to get more bottles out of it or lower the ABV. I can't obviously know what it would have tasted like but on paper it honestly looks bloody awful. 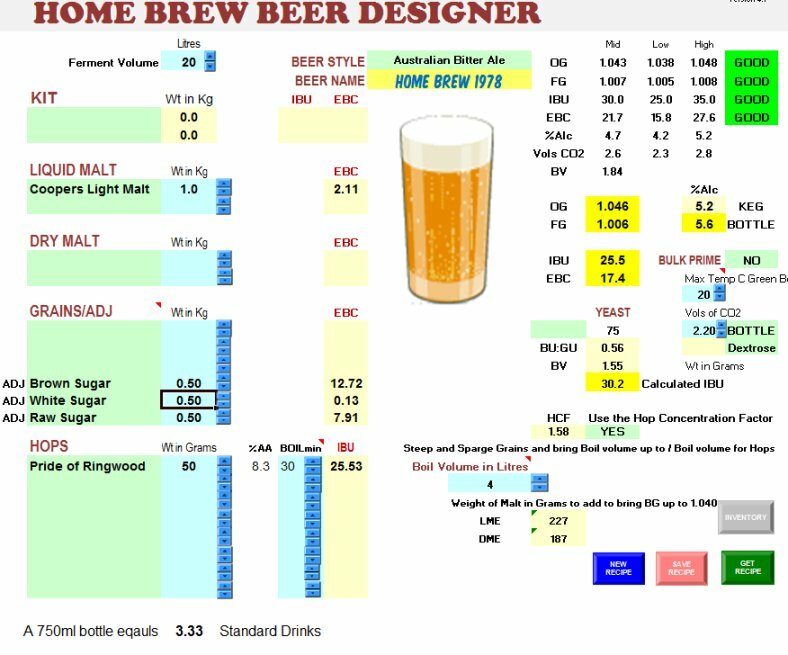 Ian H's spreadsheet suggests that the wort - before it is dilluted in the bottle - has an OG of 1.100 and would be 11.4% at 20 litres. But this is a concentrate. Like many commercial breweries this recipe waters the concentrate down to the required strength at bottling. But this is where Brain's instructions get confused. He says ladle 9 fluid ounces into the bottle and fill with water. In metrics that is 250ml wort 500ml of water - but if we followed that we would have enough wort for 80 bottles while recipe clearly calls for 50. Also while I recall watering the bottles I don't recall it being to that extent. I think Brain has got confused. Brain probably had too much to drink. So what to do ? I think I need to use 50 bottles as my guide. 20 litres / 50 = 400ml. So 400ml of wort + 350ml water = 750ml bottle for a total volume of 37.5 litres at 6.2% with a FG of 1.007. That is a little high for FG (the recipe calls for 1.005) but it is on the right track. I recall the beer was strong, and in those days stock beers were 4.9% so 6.0% is not out of the question... especially when Brain was involved. The bottle carbonation bothered me too so I think when I make it I will use carbonation drops on some bottles and not on others. The thing that bothered me was only 1/2 teaspoon of yeast was supposed to deal with all that sugar ! I must say that there was a section to the recipe that I didn't reproduce above that deals with making yeast from the dregs of 'Cooper's Sparkling Ale' or 'Old Ballarat' (now there is a blast from the past) and it reads like a word perfect account of Coopers instructions for reactivating their yeast. I am going to look that up Captain. 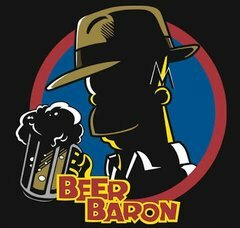 I should own up at this point to having been a historian by trade so I get excited by the idea of a 'beer historian'. I am with you with regards to the measly amount of yeast (i.e 3.5g) and the lack of priming sugar in the bottles. I don't really understand why high gravity brewing is necessary in this instance or why 50 bottles need to be the target. I don't want to commit 50 bottles to a brew that might be 'bloody awful' - or spend twice as much as I need to produce a test batch . I also don't want to fart about with ladels and funnels and pouring water and wort into bottles. It sounds like twice as much work as it needs to be. This is not an attempt to brew wonderful beer. This an attempt to brew the beer I was drinking forty years ago. There are problems with Brain's recipe but this recipe should come close. Note : I will use Saunders Malt Extract from Woolies. I only used Coopers Light Malt on the spread sheet as a guide. Let us know how it goes in the glass there James. Very interesting recipe, what hops are you planning on using for this ? Hard to imagine that this beer would of fully fermented out back in the day and hit that ABV . Definatly agree in doing a small batch for this reminiscent style brew and suggest doing a couple primed to taste the difference as iv missed a couple during bottling before and when you pour and attempt to consume them the difference in taste and feel is massive. The hop variety wasn't specified but given the dominance of Pride of Ringwood at the time that is what I imagine we used. The problem is that my bloke doesn't stock Pride of Ringwood or Super Pride. He has quite a range but not those. Anyone have any suggestions for substitutes ? Maybe a 50/50 of Cluster and Galena maybe? Great read Blacksands. Enjoyed every word of it. 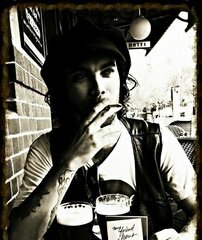 I just hope my 1978 brew terms out as well as yours did. 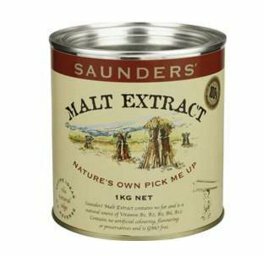 I will be using Saunders Malt Extract as I assume that is what we used in Melbourne in 1978. The company is Melbourne based and I was raised on it. 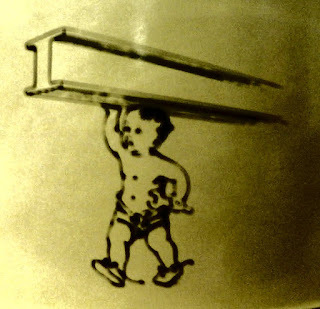 The label in those days featured a baby boy holding a steel girder over his head with one hand while the other hand held a spanner. He is still on the current label but he has been relegated to the bottom right. Eventually they stopped putting Malt Extract on my toast and added Vegemite instead. And they wonder why I drinks a bit. Your account of the hops was enlightening. My assumption that we used Pride of Ringwood because they were great majority of hops grown in Victoria could well be false. It sounds like people sourced whatever hops they could - in your case Striklebract. And he is the thing : While my bloke doesn't stock Pride of Ringwood he does stock Striklebract - so I am going to follow your lead. I agree that as a young man, me and my peers were impressed with the knowledge that more sugar in the brew meant more alcohol and that would account for the obscene amount of sugar in the 1978 brew (60% of the fermentables). My feeling is that the home brew 'twang' was the result of obscene amounts of added sugar and it was absent from your revival brew because you didn't add any sugar at all. But I have messed with the original recipe enough already and if it has that home brew twang then so be it. At least you won't start another Saundersgate. If you do a search on the forum for that stuff you may find the thread I refer to. Funny as hell. Fantastic James, may History never repeat!! Pioneering has its pitfalls, thanks for sharing. 45 years where the fook did they go? Indeed Yeasty. Where did they go ? Nostalgia is something we only really understand as we get older. Often we are inclined to remember the good old days too fondly and a exercise like this is likely to give me a more realistic account of what I was drinking 40 years ago than my failing memory can provide. The Saunders extract is not an issue for me. I am trying to recreate the brew and I'll go with the supermarket malt for authenticity. Blacksands made all the pertinent points about using what was available and just how scarce brewing supplies were in those days. I want to revisit the beer I was brewing and drinking 40 years ago - warts and all. Well, I still know some of the boys and girls of the collective that made this swill and others of the same age and if I called them in for session of old brew and spun some records while we had a few laughs and told the same old stories I reckon it would be pretty Rocktober. I might even spring for a few large Hawiians and an Aussie with an egg on top. How did the 'bag in a box' drink ? Did you go back for more ? I've been in the archives. and where did we get it ? 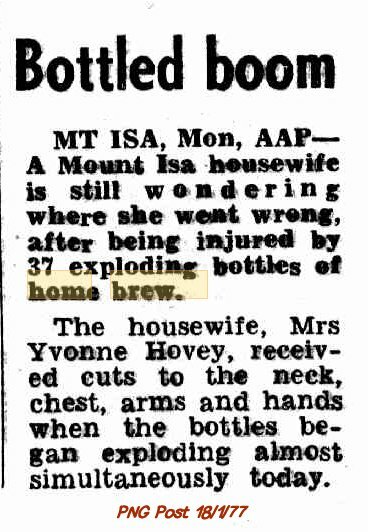 While it wont came as much comfort to Yvonne Hovey of Mt Isa but exploding bottles weren't confined to home brewers. It was reported n the 1970's that there were 62,000 incidences of exploding bottles causing injury in the USA per annum with 25,000 requiring emergency room treatment. We were on the cusp of plastic bottles and cartons in the 1970's and of the reports in the press related to exploding bottles at the time mainly related to soft drinks and usually involved the bottle being dropped before it was picked up and exploded. I know I have drifted off recipe topic into history but it is providing some fun context for my 1978 ale.